Driven by a need to obtain large numbers of image triplets for asteroid searching, a prototypical instrument was designed and has been operational since April of 2001. Given the name MOTESS (Moving Object and Transient Event Search System), it has provided discovery images of several hundred asteroids and has also revealed tens of thousands of new variable star candidates. Constructed for only US$13,000, the system demonstrates how a simple design can reliably provide a stream of high-quality science images while the observer gets a good night's sleep! Also called 'drift-scan' or time delay integration (TDI), this imaging technique involves permitting the image of the sky to drift across a CCD at the focal plane of a telescope while clocking the parallel registers of the CCD at a rate that transports the accumulating charge at the same rate that the star generating that charge is moving across the CCD. In its simplest form, involving a stationary telescope and drift motion due to the earth's rotation, this requires that the CCD parallel registers are precisely oriented in the east-west direction and that the clocking rate is dependent upon declination as the inverse cosine of the distance from the celestial equator. More complicated schemes involve precisely driven telescopes and drive-dependent clocking rates. First used in astronomical CCD imaging in the early 1980's at the University of Arizona by Dr. Tom Gehrels of the Spacewatch asteroid search group and Dr. John McGraw of the Zenith Telescope project, scan-mode imaging has several limitations and benefits. Using undriven telescopes, scanning is limited to the equatorial regions of the sky. As one progresses to more northerly or southerly declinations, star images no longer drift across the CCD in straight lines but begin to move along arcs, producing star images elongated in the north-south direction. Since the correct CCD clocking rate varies as declination, the condition will also arise that the clock rate will be correct for the center of the CCD but not the north or south edge, producing punctiform star images at the center but not the edges. These limitations may be avoided by using precisely-driven telescopes and drive-coordinated cameras that scan the sky along great circles. There are, however, some wonderful benefits to the technique. Because a resulting image pixel is the sum of charge collected by all of the photosites in the CCD imager column producing that pixel, pixel-to-pixel variations in sensitivity are averaged out resulting in very beautiful raw images. These raw images may be calibrated using synthetic column-averaged scan-mode flat-fields producing final images with essentially no noise contributed by the flat-fielding process. These synthetic calibration flats are produced by averaging all of the pixels in the columns of a scan-mode flat image. The result is a single line of column-averaged pixels as wide as the starting image. A synthetic flat image is then created by repeating this same line the full length of the image. If one starts with a 1024x1024 flat image, the final synthetic flat is effectively the result of averaging 1024 flat images. The noise is reduced by square root of 1024 or 32. 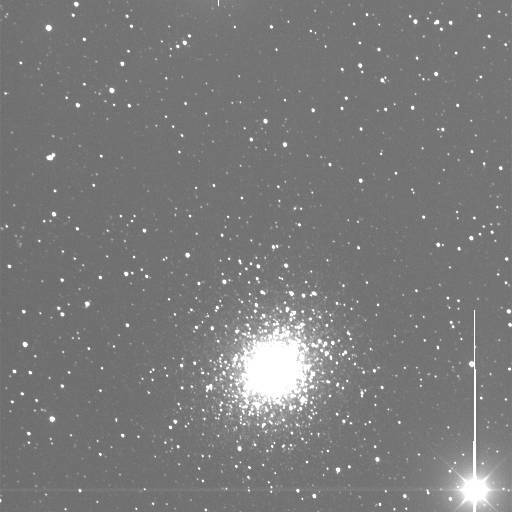 The accompanying images show the cosmetic defects of the engineering-grade CCD used in one of the instruments and a calibrated image of the globular cluster M5 obtained with that CCD. The gross defects seen in the lower right corner of the CCD are real and totally disappear in the course of the imaging process and image calibration. Scan-mode imaging is also continuous. Regular stare-mode imaging involves pointing to an area of sky, opening the shutter for an integration period followed by closure of the shutter, and then reading out the CCD. Only while the shutter is open is light being recorded. All three processes occur simultaneously in scan-mode imaging and the collection of light is continuous. In fact, the cameras of my system do not even have shutters. They operate continuously from evening twilight until morning twilight without any observer participation. I sleep while they work and the images are examined the next day. Searching for asteroids usually requires three images of a star field to unambiguously detect a moving object. 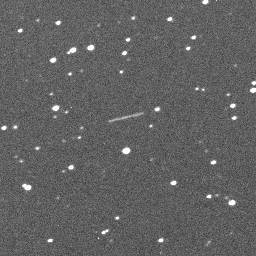 Many previous scan-mode asteroid search efforts used a single telescope and camera, necessitating the scanning of a strip of sky three times. Using a system of three telescope/camera combinations permits continuous operation without moving the telescopes. In order to clock the CCDs of all three instruments at the same rate, the focal lengths of the primary mirrors must be matched to one part in 1024, the number of pixels in each column. This system is almost 100% efficient in its collection of image triplets for asteroid searches. The instrument telescopes are conventional Newtonians with 35-centimeter aperture, f/5 primaries of low-expansion Astrositall material and 8 centimeter minor axis secondaries of fused quartz. A temperature-compensating optical support structure using the differential expansion of steel and aluminium rods eliminates the need for focus changes during the course of an evening's observations. Since the telescopes are intended to be directed towards a fixed azimuth and elevation for months at a time, there is no problem with structural flexure due to changing orientation and a relatively lightweight structure has been implemented. The design of the athermal strut is based upon using two materials with thermal expansivities that have a 2:1 ratio. Aluminium has a thermal expansivity of about 25 ppm per degree C, steel is about 12.5 ppm per degree C. One rod of steel is attached at one end to the primary mirror cell and at the other end to one end of the aluminium rod. The aluminium rod goes back towards the primary mirror cell but attaches to a second steel rod before reaching the cell. This second steel rod goes back towards the secondary support cage and attaches to it. Thus, the distance from the primary mirror cell to the secondary support cage is determined by this "Z" assembly of rods. The secondary support cage is a box-within-a-box arrangement that is restrained in the transverse direction by thin steel flexures but can move easily a short distance in the longitudinal direction. Since Eal = 2 x Efe, then L = Lo. The temperature dependent terms disappear. Use of low-expansion Invar alloy in the instrument would have involved an expense of almost a thousand dollars. Invar typically has an expansivity of about 1 ppm per degree Centigrade. The expansivity of the steel/aluminium composite struts was measured as -0.45 ppm per degree Centigrade. This level of performance should be able to maintain proper focus over a temperature range of as much as 60C under ideal circumstances. The demonstrated performance of the temperature-compensated structure has been excellent! The optical depth-of-focus is only 0.05 millimeter but focus adjustments were not required on two of the three telescopes during a period of two years. 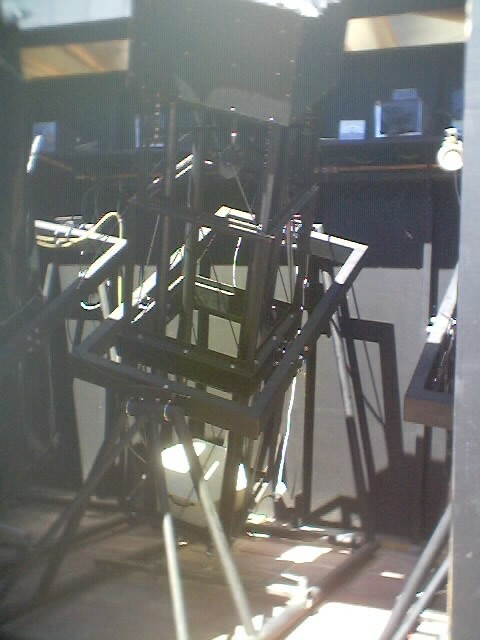 The third telescope required adjustment because diurnal temperature variations caused one of the primary mirror adjustment screws to slowly 'creep' from its set position over a period of months. You can see that this type of instrument has no expensive precision mounting. The telescopes are fixed in position and scan the same strip of sky each night. The cost of the instrument is primarily in the optics and the cameras, those components that are required for the imaging process. A precisely pointing and tracking mount, while very expensive, does not detect a single photon. 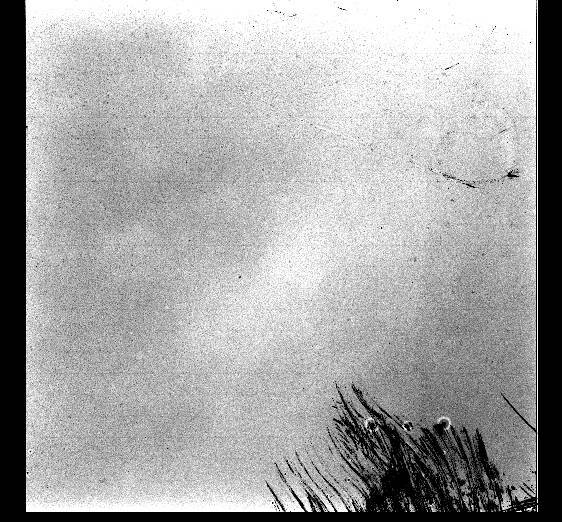 The drift-scan imaging technique involves rigid compromises of telescope focal length, aperture, CCD dimensions, and readout time to achieve the desired performance. Using the earth's rotation to drift the image across the CCD during the imaging process leads to strict inter-relationships between these parameters and allows little freedom to the designer. Cost of components and complexity of design are also important considerations. As an amateur astronomer funding construction with my own money, I was immediately limited to a simple optical design using the largest CCD devices that I could afford. I was very fortunate that I was able to purchase a small number of the TK1024 imaging devices at low cost when the manufacturer was having an inventory reduction sale. Since the choice of CCD had already been decided, the only remaining design decisions were associated with the optical system. To minimize cost, complexity, and inter-element ghost reflections, a Newtonian configuration was selected. There was consideration of a prime focus configuration but this would have required considerable re-engineering of an already proven camera design in order to place it in the main optical tube and minimize obstruction of the incoming light. The presence of the Newtonian diagonal mirror also simplfies the optical alignments and has proven to be a very acceptable compromise with minimal additional cost and light loss. Since it was decided not to use coma correcting optics, the f/ ratio of the telescopes was designed to be no faster than f/5 so that the CCD imagers would fit within a suitably sized area of acceptably small comatic aberration. Examination of the images from the instruments reveals a small amount of coma at the north and south edges, appearing as a slight ellipsoidal elongation of the star images, well within tolerable limits for the uses made of the data. After selection of the CCD and f/ ratio, the only remaining decision was aperture. When searching for asteroids, one wishes to search as faint as possible and with as wide a field as possible, somewhat conflicting requirements when utilizing scan-mode imaging. A wide field suggests a short focal length leading to a desirable longer integration time but reduced aperture. Light collection increases as the square of the aperture but the scan-mode effective integration time is inversely proportional if the f/ ratio is kept constant. The coarser image scale of a short focal length would also contribute more airglow signal per pixel and reduce the signal-to-noise ratio of faint objects. Based upon previous experience with a 14-inch aperture telescope (Celestron 14 Schmidt-Cassegrain), I settled upon an aperture of 35 centimeters. This combination of aperture, f/5 focal ratio, and CCD leads to an effective integration time at the celestial equator of 193 seconds. Processing of unfiltered images from good nights typically indicates zero-point magnitudes of about 21 or slightly fainter. Sky background on a dark night is about 12,000 ADUs and produces a shot noise contribution of about 110 ADUs rms. A three-sigma stellar detection corresponds therefore to about magnitude 20.4, assuming a solar-type star. Three home-built cameras based upon an existing design (Tucker, R. A. 1995, "A Public Domain CCD Camera Design", Bull. American Astron. Soc., 185, #63.04) have been constructed using thinned, back-illuminated 1024x1024 CCD imagers from Scientific Imaging Technologies (Beaverton, Oregon). These TK1024 devices have 24 micron pixels and, in combination with the telescope system, produce an image scale of 2.83 arcseconds per pixel. The resulting field of view is 2898 arcseconds or 48.3 arcminutes or 0.805 degrees. An advantage to the use of non-moving telescopes is that the camera electronics sit on a shelf next to the telescope instead of riding on the telescope and the vacuum system that is used to periodically refresh the cryostat vacuum is constantly connected. Such considerations simplify maintenance. Scanning at or near the celestial equator permits recording of just over 12 square degrees per hour. In normal operation, the three telescopes are aimed at the same declination but spread in Right Ascension at intervals of 15 to 60 minutes to produce a data stream of image triplets separated in time that reveal moving and time-varying objects. At this time, the instruments are centered on +02 degrees, 5 minutes declination. The separation between the three instruments is about 19.3 minutes of Right Ascension. The presence of unattenuated bright moonlight greatly reduces the dynamic range of the images, perhaps even producing saturation of the CCD. Before each camera is a filter slide mechanism that permits insertion of a clear filter of anti-reflection-coated BK7 glass or a color filter of photometric "V" or "I". Consideration was initially given to the use of neutral density filters to attenuate the light levels during times of bright moon but it was quickly realized that color filters produce the desired attenuation and also provide useful color photometry. The filters are arranged so that image triplets ordered in time in "I", "V", and "I" are obtained, permitting interpolation of an "I" magnitude at the time that the "V" image is acquired. The instrument shelter is a conventional roll-off roof design, eight by twelve feet in size, optimized for the enclosure of three instruments that are pointed in the general direction of the celestial equator. The view of the sky is restricted by eight-foot high walls that provide protection from artificial light sources in the vicinity of the facility. An electrically-powered garage door opener is used to automate the motion of the roof. Although this mechanism extends across the center of the opened aperture, the telescopes can easily be positioned to avoid any obscuration of the optics. Since the moving elements of the entire system have been reduced to mirror covers and the roll-off roof, the instrumentation is very well suited to unattended, automatic operation. Depending upon the season, this instrument will produce 1 to 1.5 gigabytes of image data per clear night (150 to 220 image triplets, each covering 0.64 square degrees). It is not possible to routinely examine all of these images intensively by eye and so it is necessary to rely upon computer image processing to search for interesting objects. One computer, a Pentium-class PC-compatible, is dedicated to acquiring images from the three cameras. Although operated in continuous scan mode, the image stream is sliced up into 1024 squared FITS images for convenience. The images are then passed over an ethernet connection to a second computer for analysis and archiving on CD-R disc. Currently, moving object recognition is provided by a software package called PinPoint by Robert Denny of Mesa, Arizona. On the basis of user-adjustable parameters, this software can automatically find moving objects and generate astrometry reports for the Minor Planet Center. An entire night's images may be searched for asteroids in a period of two to three hours. In 2003, this system contributed over 40,000 asteroid astrometric observations and over 150 new asteroid discoveries including Aten asteroid 2003 UY12. The same region of sky is searched night after clear night, a strip of sky 48 arcminutes wide at a particular declination, limited at the west and east ends by evening and morning twilight. Because of their relatively slow motion along a primarily east-west line, Main Belt asteroids are generally observable on multiple nights. Any particular field in this strip of declination is observable for about four months during the course of a year, permitting the recognition of variable stars with a broad range of periods. During a period of almost three years, this simple, inexpensive system has reliably collected high-quality science images with minimal support other than periodic optical cleaning and re-evacuation of camera cryostats. No loss of data has occurred due to instrument failure. Two nights were lost when the observer failed to remove the mirror covers. Over 1600 CD-R discs storing over 600 gigabytes of data have been produced, recording asteroids, comets, variable stars, earth satellites, orbital debris, meteors and other astronomical phenomena. I invite others to consider the construction of similar instruments as a possible solution to their need for a low-cost source of astronomical data for research and classroom instruction. There is value in participating in a collaboration operating a large number of these instruments. Inquiries regarding such cooperative ventures will be very welcome. I wish to express my appreciation to Dr. Eric Craine of Western Research Company, Dr. Mark Giampapa of the National Solar Observatory, and Adam Kraus of the California Institute of Technology for their work in developing the data processing pipeline that extracts stellar photometric histories from the hundreds of megabytes of images that the system produces each night. I also wish to thank The Planetary Society for supporting my efforts with their Eugene Shoemaker NEO Grant.